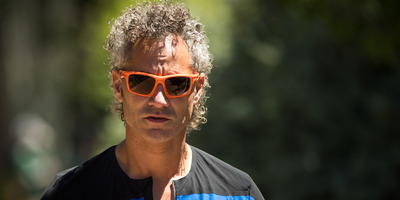 Drew Angerer/Getty ImagesAlex Karp, chief executive officer of Palantir Technologies, could take his company public at a $US41 billion valuation. Palantir, a secretive data analytics company cofounded by Peter Thiel, is in talks about going public in 2019, according to the Wall Street Journal. Bankers have reportedly valued the company as high at $US41 billion – twice its last private valuation. Palantir, which was founded in 2003, is known for its super-secretive, but high-profile big data work with entities including the US government. Palantir, a secretive data-mining company co-founded by Peter Thiel, is looking to go public in a massive IPO that could take place in the second half of 2019, according to the Wall Street Journal. The company is in talks with banks at Credit Suisse and Morgan Stanley about the deal, according to the Journal. And some bankers have floated the possibility of hitting a $US41 billion valuation, which is twice the size of its last private valuation, according to the report, which cites anonymous sources. Palantir was founded in 2003 by Thiel, a PayPal cofounder and tech investor, and Alex Karp, who is CEO of the company. It’s known for working on highly-secretive but big budget data analytics projects. Documents leaked to TechCrunch in 2014 revealed its close ties to multiple US government agencies. While the details of Palantir’s public offering, including the price tag, could change, it falls in line with recent trends of mega valuations as more and more startups chose to stay private longer. Uber, the ride-hailing service founded in 2009, could be valued at $US120 billion when it goes public in an IPO planned for next year, according to the Journal. But both of those valuations far outsize the normal IPO. There were 173 IPOs in the US between January and September 2018, raising a total of $US45.7 billion. The value raised in the first three quarters of 2018 was 46.5% greater than the same period last year, and more than three times that of 2016, according to PwC track of data.